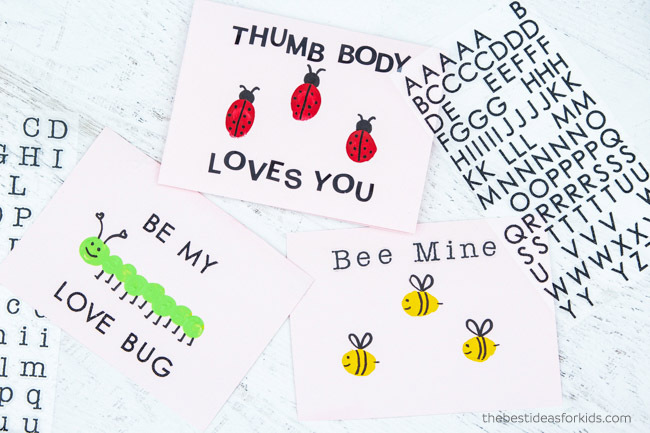 Valentine’s Day is quickly approaching and if you need an easy DIY card idea for kids to make, try these fingerprint Valentine cards! They are easy to make and are a thoughtful alternative to store bought Valentine cards. You could even stick these fingerprint cards in a frame and give them as a gift. 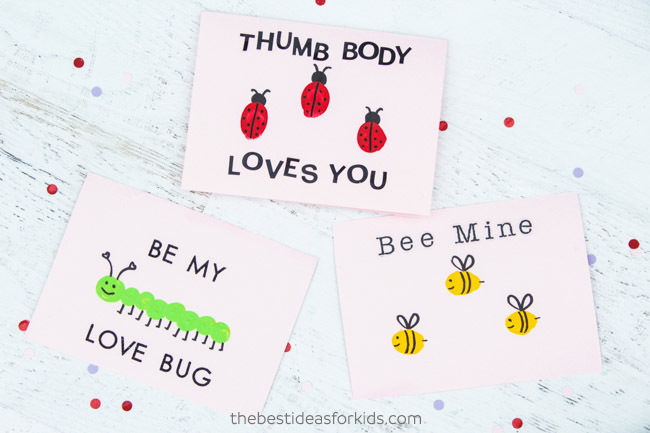 We’ll show you three different options for turning fingerprints into insects along with some cute Valentine’s Day sayings, but the possibilities are endless! 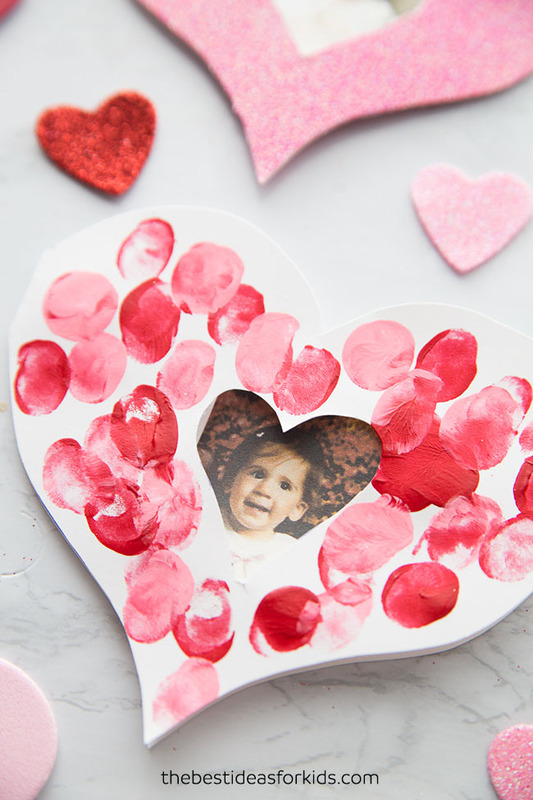 Make these fingerprint Valentine’s Day cards for a sweet keepsake craft to give to Grandparents or friends. 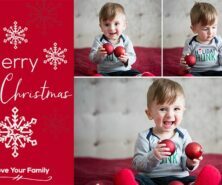 They will adore these cute cards as much as your kids will love making them! 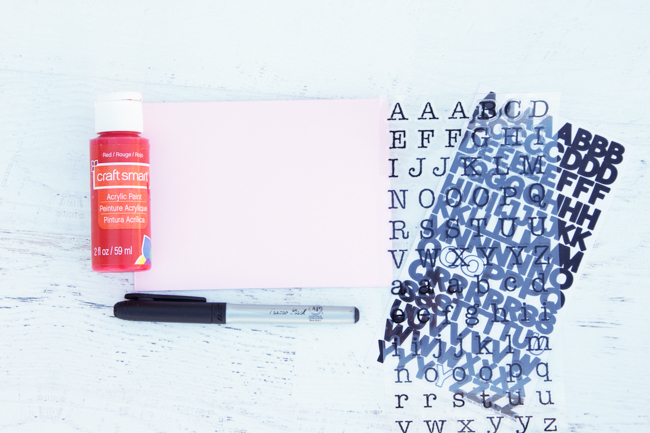 You only need a handful of materials and just a few minutes to make these cards! 1. 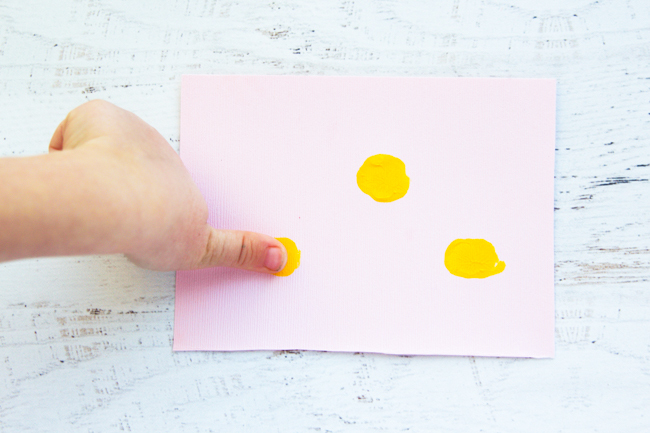 Fold your card stock in half and make three horizontal thumbprints on the front of the card with yellow paint. 3. 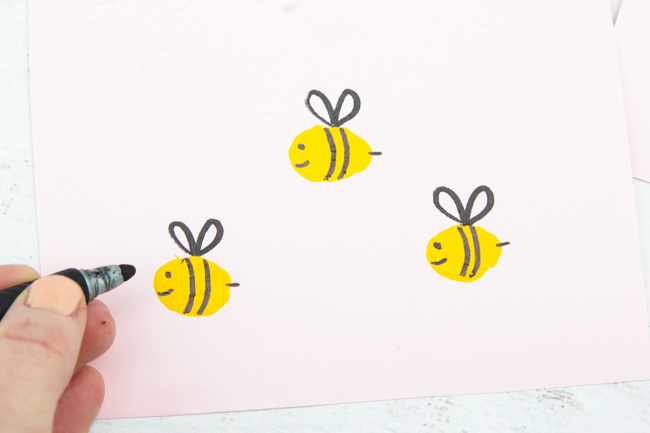 Using alphabet stickers, spell out “Bee Mine” on the card. 1. 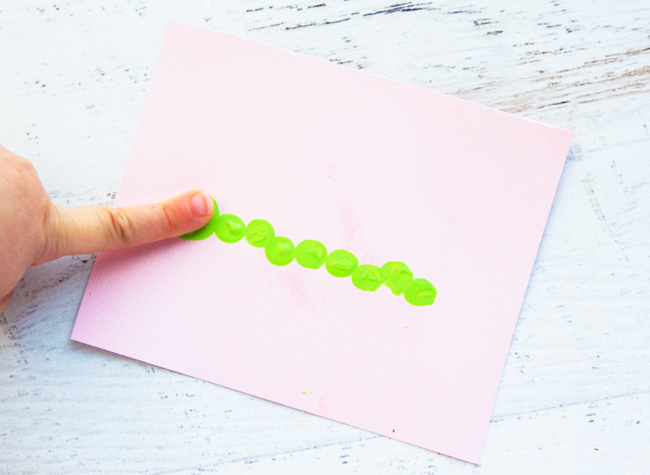 Fold your card stock in half and make fingerprints next to each other with green paint to form the caterpillar body. Make the head slightly bigger than the rest of the body. 2. 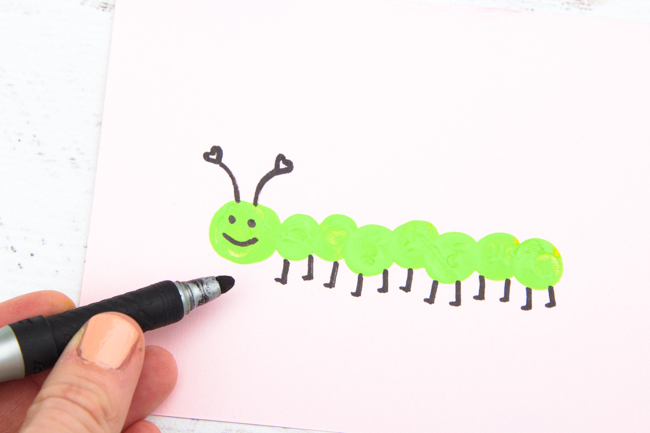 After the paint has dried, draw a face and legs on the caterpillar with a black marker or sharpie. 1. 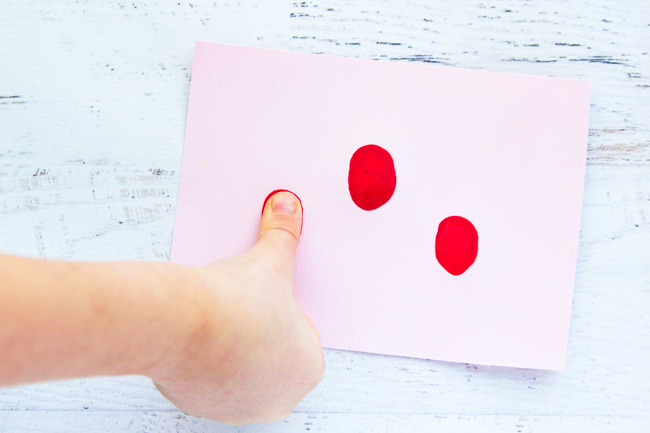 Fold the card stock in half and make red thumbprints with red paint. 2. 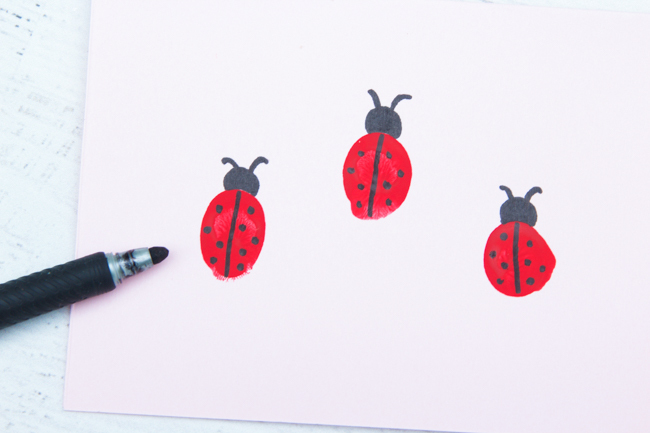 After the paint has dried, draw on a head, wings and polka dots with a black marker. 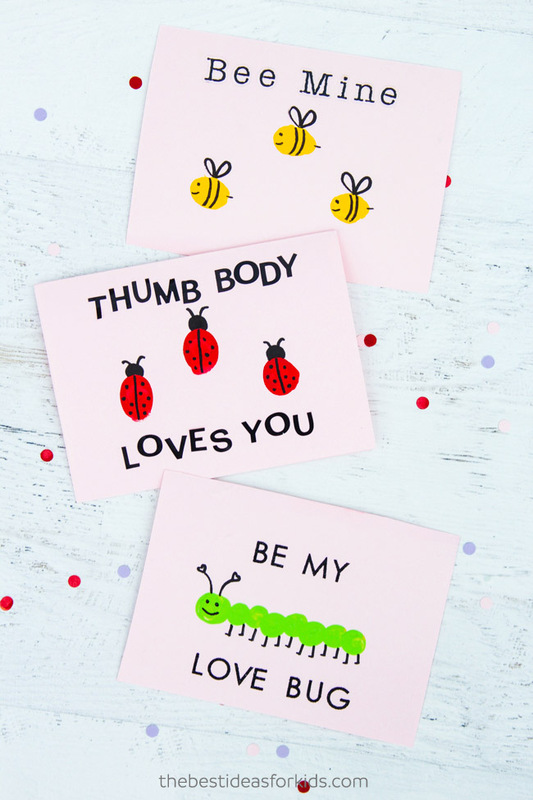 Aren’t these Valentine’s Day cards just the cutest thing you’ve ever seen? 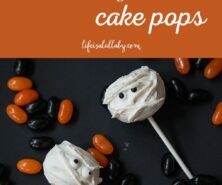 You won’t want to buy store bought cards after making these! 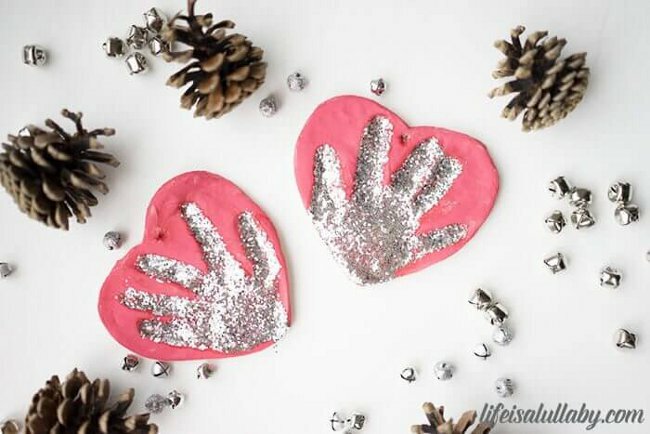 These heart handprint salt dough ornaments are the perfect Valentine’s day craft! 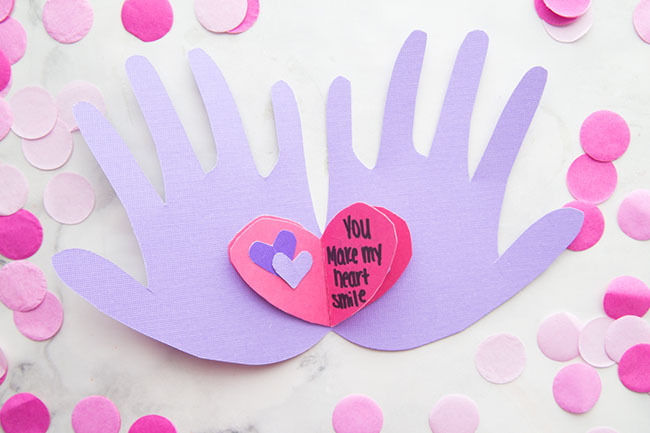 Make a handprint Valentine card with your own personalized heart messages inside. 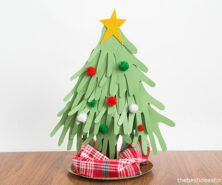 We love how easy this card is to make! For another fingerprint card idea – see these fingerprint heart cards. You can grab a free template to make them too.